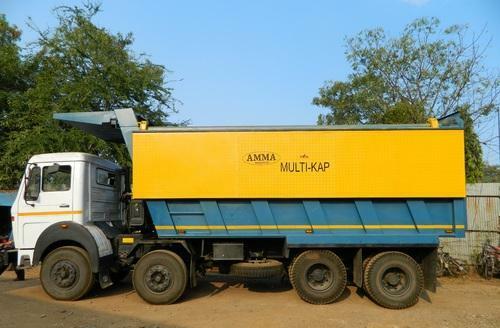 Prominent & Leading Manufacturer from Nashik, we offer body top closing mechanism, body top closing tipper body and body top closing tipper. A top opening-closing mechanism for opening and closing a top of a container including a container body and the top includes a rolling element rotatably provided at the top and positioned on the outside of the container body in a planar view, a rail, a jack for lifting the rail, and a top resting table disposed adjacent to the container and mounting the top thereon. When the top is opened, the jack lifts the rail, the rail lifts the rolling element from below, and thereby the top is lifted up from the container body. Then, the rolling element rolls on the rail and the top resting table to move the top from above the container body to the top resting table. Owing to rich industrial experience, we offer body top closing mechanism. We offers manufacturing the products with high accuracy and precise equipment. Owing rich industrial experience, we offer Body Top Closing Truck Body. It has feature of closing truck body at the top of it. This product is manufactured and delivered to our clients in scheduled delivery. The hard Top closure system is a button Touch, simple to operate. 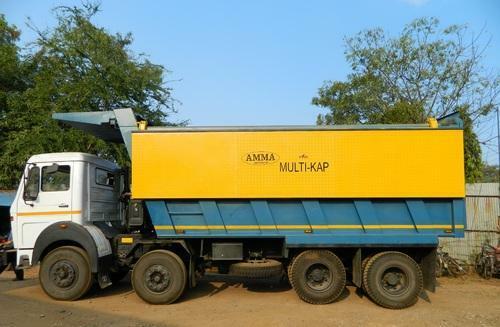 Keeping the quality assurance to our clients in mind, we are offering Body Top Closing Tipper that is applauded for their superior design. Our professionals use advanced quality top quality of raw material, procured from reliable suppliers. These products are appreciated in the industry for their durability and nominal price range and quality for sure. We are the best option for the clients who wish to have the best quality product in minimum prices. 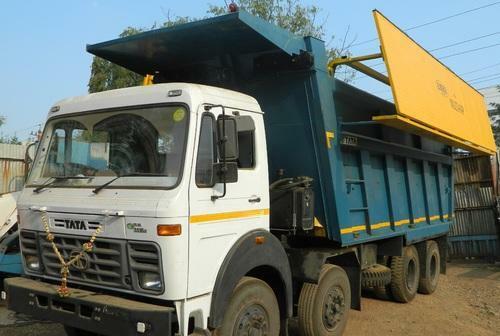 Looking for “Top Closing Truck Tippers”?